After being introduced to the Kryon teachings in 1998, I have continued to immerse myself in this ‘new’ knowledge and information as it is given. I have loved being present in the energy of Kryon at all the live channellings in Melbourne and in 2013, at the Kryon Discovery Series in Mt Shasta, the Kryon Kundalini Tour in South America and I’m pleased to have been invited to have information about Quantum EFT & Mining the Akash available at the 2014 Melbourne Kryon event. I have always endeavoured to apply what Kryon teaches and my own ‘remembrance’ to my life, skills and teachings. As an EFT (Emotional Freedom Techniques) Trainer and Practitioner, a Matrix Re-Imprinting Practitioner, a Clinical Hypnotherapist and a Past life Regression Therapist, I have applied what Kryon has been teaching with what I have learned in my professional life. With guidance from my Higher Self and my own Akash, I consulted with Lee to see if I was ‘on track’ with what I had been drawn to create. Lee approved with what I had created in the form of workshops called “Quantum EFT & Mining the Akash”. These workshops continue to evolve with new energy and information as it arrives into consciousness on the planet. Over a weekend, a small group of people learn to connect with their intuition, their higher self and use techniques such as ‘Ask and Receive’ Method, muscle testing, psychometry, experience 2 Past Life Regressions (other lives), use EFT in time, space and place (Quantum EFT) on what drama arises from the PLR, dissolving it and then ‘Mine the Akash’ looking for gifts, talents, traits and imprint them into the present life. I am now also offering ‘Personal Akashic Journeys’ for those who wish to have a personal, intensive journey, over a time frame that suits both of us, with me (and their guides and Higher Self) holding their hand. This journey will visit other lifetimes with the intention of finding the fear, drama and unfinished business that still drives them today at an unconscious, energetic level in survival mode action or inaction. Once identified, we use Quantum EFT to dissolve it where it originated so that it no longer impacts us in the now or in the future. With the drama/survival mode issues cleared, we go on to ‘Mine the Akash’ with the higher intention of finding love, happiness, success, health, skills and talents then bringing them back and overlaying them into the current life, activating them through the meridian system and having the multidimensional DNA speak to the blueprint of the stem cells. As Kryon says in his “The Elusive Akash” channelling (Aug ’13), the new Akashic Drivers in our new recalibrated energy (after 2013), will be more influenced by compassionate action, love and finishing business. The energy will now support releasing feelings of being victims, self-worth will increase and the Akash will speak to the brain and the innate body in higher concepts. 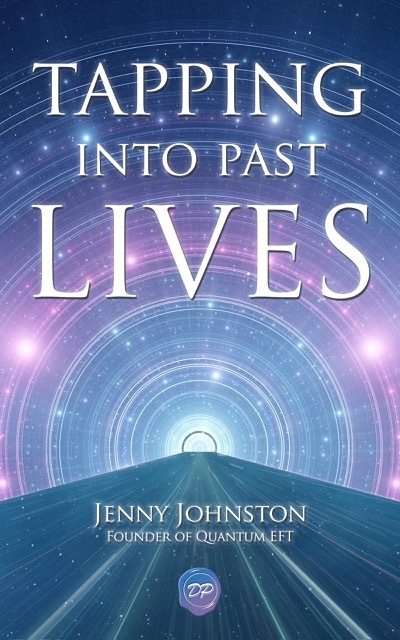 This process of Quantum EFT & Mining the Akash, whether it be in a small group workshop over a weekend or a Personal Akashic Journey, with Jenny leading you through the process in each, will allow you to drop the fear based, survival driven karma and co-create for yourself a new future. These blocks and past experiences from the past can be difficult to get past by yourself. This is a process that marries with, and is a catalyst for, creating your new future, in the new recalibrated energy, free from past unconscious survival drivers. Do you want to control your life and create a new future? How about if you become peaceful around drama and things that used to be a problem and they no longer push your buttons? Quantum EFT is a process that includes allowing you to state out loud, your intentions, allowing your cells, brain and energy to hear and feel it. You will have more peace in your life and live longer. You will become like the Masters and LIVE, ‘All is well’. You can watch some Quantum EFT sessions on my You Tube Channel – “EFTAustralia”. Her whole body screamed out the emotional and physical past life feelings of fear of death in the face of confrontation and it was clearly still affecting her today. After the Quantum EFT Session on it, the feelings dissolved. She no longer shakes and fears for her life in situations of confrontation and she doesn’t avoid them either. That karmic fear based driver is no longer present for her and she is free from it. What karmic, fear based drivers are still controlling you under the radar? If you’d like to ‘void’ them and move freely into creating your now and future, as well as go into other lives lived and collect talents, gifts, skills, health, then visit my website – www.quatumeft.com.au and book for a workshop or personal journey (both have limited spaces). If you would like a Quantum EFT Workshop in your part of the world and would like to co-create it with Jenny, email her to discuss and create it. Jane – “This was truly an organic, primal experience. 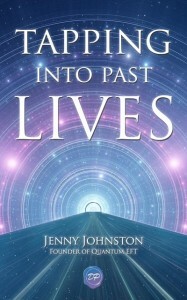 Wonderfully clear and evocative, delving into a deep past which influences the ‘me’ now. I have received guidance offering direction into new areas in my practice. I feel it was balanced and I loved the way you led us into the group past life experiences. It was a divine experience, as was Mining the Akash. I was given some very important knowledge. Thank-you”. Vanessa – “Loved the weekend. I never thought I’d be able to tap into a Past Life as I’d never been able to before”.